Tail wagging the dog – IPCC to rework AR5 to be ‘consistent with the SPM’ | Watts Up With That? The AR5 WGI Report has now been released, and we were told that when the Report was released all of the expert reviewer comments would be released as well. But I can’t find them on the web sites. Can you please give me the link(s)? 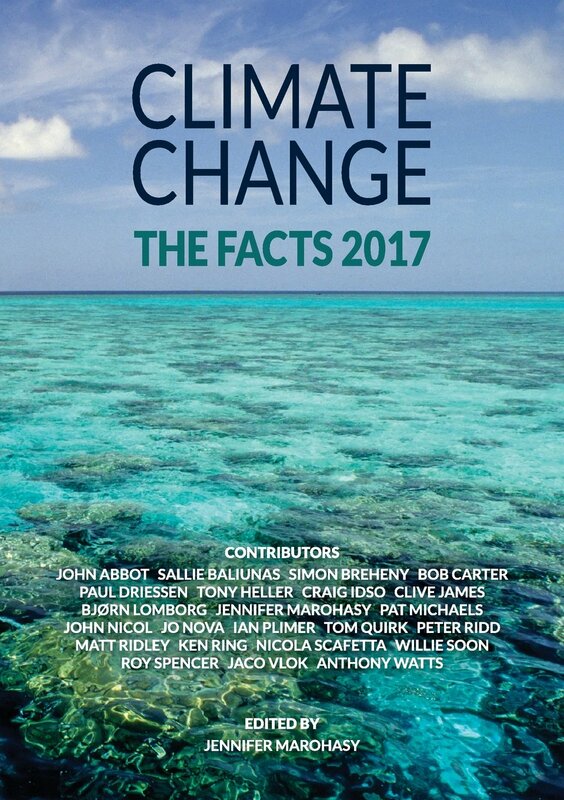 What has been released so far is the approved Summary for Policymakers as well as the final drafts (version 7 June 2013) of the underlying chapters and the Technial Summary (downloadable free of charge from www.climatechange2013.org). These drafts are still subject to copy edit, error correction and any necessary changes for consistency with the approved SPM. We anticipate that the full report in its finalised and publication-ready form will be released electronically in January 2014. At that time, also all the review comments and responses will become part of the public record and will be posted on our web site. So you’re right, the science will be modified to fit the political message. It doesn’t really matter how many thousand leading scientists did or didn’t contribute to AR5 when their contributions are overruled by politicians. Just like CO2 drives temperature, the SPM drives the bulk of the report. Didn’t Winston in Orwell’s 1984, work for the Ministry of Truth and spend his day rewriting history. Come back Geroge Orwell Climate “Science” needs you! Sounds about right. You do the work, write the conclusions, then write the rest to make it look like you intended to do that all along. In this case, the conclusions seem to be driving more than results. PR drives science. They are doing an excellent job of teaching young people that science serves PR. Once young people learn that lesson, they will not choose a low income science career over a high income PR career. I wonder how many “contributors” are looking for an opportunity to jump ship. Consider, the bill for climate mitigation has started arriving with a vengeance in places like Germany, Denmark and the UK. Couple that with the fact that 5 of the last 6 winters have been colder than normal in Europe. If another cold winter shows up in Europe this winter as some have predicted, and the 5th assessment report shows up in January along with energy bills that contain green taxes and tariffs as large or larger than many American electric bills, the warm fuzzies from changing to a CFL from incandescent will be replaced by a heated disdain for the folks that are driving them into poverty. Does this mean that the footnote on climate sensitivity will be expunged, & that consensus will reemerge that it’s 95% certain to lie in the range of three to five K, instead of the 0 to two K supported by actual observation? Let Tim Ball explain how this process works. Well, the time mark didn’t work because you embedded the video automatically. You have to go to 33:50 to hear Tim Ball’s explanation of the IPCC report process. Of course, it is backward, but that is how it was intended when they wrote the rules for the Summary for Policymakers (SPM) originally. The SPM goes back to the Science Working Group I (WGI) to make sure they agree with what the SPM was saying. It is like an executive writing a summary and then telling the employees to get the data to agree with the conclusions. This charade was exposed as early as the 1995 Chapter 8 fiasco but few knew the implications of that event. If they published the WGI first and wrote it in ways people could understand nothing would be done. Of course, they agree to make changes because it doesn’t matter now. The objective to get alarmist headlines is already achieved with a much publicized press release to a compliant and complicit mainstream media. Alarmist headlines scare voters and that puts direct and indirect pressure on politicians. It is no coincidence that every SPM is released just prior to nations agreeing to UN expenditures for climate change. Of course, the IPCC also deceive by putting everything that is wrong with their science in the Working Group I Report and releasing it later when it is no longer headlines. They know few read it and even fewer understand. They can easily marginalize those “skeptics” and latterly “deniers” who dare to question. The entire IPCC exercise was set up to achieve a political goal of demonizing CO2 using scientists malleable for various reasons,. They have done it with frightening efficiency. The challenge now is to hold all involved to account, but we know that never happens. The Green tail wagged the Australian Labor government dog to death! Assisted suicide may have overlooked tangible benefits. It is their mission after all. I fully expect most of these UN hacks to resurface in the next great mission, that of banning DiHydrogen Monoxide/ err.. addressing the worldwide shortage of potable water. The subject of this thread is not news. It has been the custom and practice of the IPCC for all of its Reports to be amended to agree with the political summaries. This is documented by the IPCC and did not require emails to learn of it. Indeed, I have repeatedly explained it in WUWT threads over recent weeks. This custom and practice enabled the infamous ‘Chapter 8′ scandal so perhaps it should – at long last – be changed. However, it has been adopted as official IPCC procedure for all subsequent IPCC Reports. Appendix A of the present Report, AR5, states this where it says. This is achieved by amendment of the IPCC’s so-called ‘scientific’ Reports to fulfil the IPCC’s political purpose is achieved by politicians approving the SPM then amending the so-called ‘scientific’ Reports to agree with the SPM. Is there a letter regarding inconsistencies?? Authors write a Chapter including a Technical Summary. The Technical Summaries are the basis for the Summary for Policy Makers, which is written by the Technical Support Unit. The whole package is reviewed three times: internal review, expert review, government review, and revised accordingly. Each Chapter is adopted by the IPCC Plenary, that is, the representatives of the IPCC Member States, i.e., your government and mine. The Summary for Policy Makers needs line-by-line approval by the Plenary. In practice that means that the SPM is substantially rewritten. Unpopular findings are removed. Popular findings are highlighted, or added. Some findings are reformulated. The Convening Lead Authors have a veto over “their part” of the SPM. Some CLAs are proper scientists. Others are partisan, or spineless. In case the SPM says something that is not quite in the Chapter, or something that contradicts the Chapter, then the Chapter will indeed need to be “clarified”. It is Lysenkoism, plain & simple, but unfortunately costs the whole world dearly & corrodes science globally, instead of just in its largest country. Even more incredible is that this is all done in plain sight of an audience of mostly uncaring and apathetic journalists. Positively scandelous revisionism without official consequences. No wonder blogs have emerged as the only relevant news sources. Thank you for sharing your effective communication with the IPCC. Well, they call the SPM final, but my impression is that it might also be edited / corrected / adjusted given the jumbled, frantic, crudely negotiative process that spawned it in those 5 days of its approval. As McIntyre says, watch the pea. Especially come January. I don’t know why anyone would be surprised by this. It was stated quite clearly in AR4 that the final report would be amended to align with the SPM. What is surprising is that the media don’t seem to care that the politicians are in charge and that the science will if necessary be tortured to death to make it conform. They wouldn’t allow politicians to get away with that in any other sphere. Why in the case of climate change? A consultant looks for solutions to your problems. An ideologue looks for problems for their solutions. … corruption is spiritual or moral impurity or deviation from an ideal. Corruption may include many activities including bribery and embezzlement. Government, or ‘political’, corruption occurs when an office-holder or other governmental employee acts in an official capacity for personal gain. The word corrupt (Middle English, from Latin corruptus, past participle of corrumpere, to abuse or destroy : com-, intensive pref. and rumpere, to break) when used as an adjective literally means “utterly broken”. “Petty” corruption occurs at a smaller scale and occurs within established social frameworks and governing norms. Examples include the exchange of small improper gifts or use of personal connections to obtain favors. This form of corruption is particularly common in developing countries and where public servants are significantly underpaid. “Grand” corruption is defined as corruption occurring at the highest levels of government in a way that requires significant subversion of the political, legal and economic systems. Such corruption is commonly found in countries with authoritarian or dictatorial governments and in those without adequate policing of corruption by anti-corruption agencies. Factors which encourage systemic corruption include conflicting incentives, discretionary powers; monopolistic powers; lack of transparency; low pay; and a culture of impunity. Specific acts of corruption include “bribery, extortion, and embezzlement” in a system where “corruption becomes the rule rather than the exception.” Scholars distinguish between centralized and decentralized systemic corruption, depending on which level of state or government corruption takes place; in countries such as the Post-Soviet states both types occur. Corruption can occur in many ways. The use of both positive and negative inducements to encourage the misuse of power is well known. In addition, favoring of friends, relatives and cronies in a way that is not directly beneficial to the corrupt individual is a form of corruption. In systemic corruption and grand corruption, multiple methods of corruption are used concurrently with similar aims. Favoritism, nepotism and clientelism involve the favoring of not the perpetrator of corruption but someone related to them, such as a friend, family member or member of an association. Examples would include hiring a family member to a role they are not qualified for or promoting a staff member who belongs to the same political party as you, regardless of merit. This is the use of contributions to political parties to secure illicit power, not because one favours their policies. An example would be tobacco or alcohol companies funding major political parties as a means of influencing the policing of their industry. The issue is fundamentally the different views of science in various all encompassing thought systems (epistemological / metaphysics). The IPCC science will not be ashamed of itself in its publicly irrational appearing scientific processes because it considers itself justified to be above any traditional rational science base. The self-justification of the IPCC conception of what their science should be and what / who it should serve was explicitly, completely and openly described by the philosophy of science guru Jerome Ravetz in his guess essays here at WUWT over the years. He in turn inherited a philosophy of science tradition that intentional subverted the independent-nature-based-objective-science into a science-serving-some-ulterior-utilitarian-higher-social-purposes. Arguably, it began most significantly with Kant in ~mid 18th century. I concur. Richard Courtney should be nicknamed The Sage of Climate. He has a depth of knowledge that is ecumenical. I always look forward to your posts, Richard. Cognate with Spanish “romper”, “to break”, from Latin “rumpere” with the same meaning, but apparently not with English “romp”, which is what CACA-train culprits have been doing on the public dime. Juice & Dr. Ball, beware of James Corbett. He’s a 9-11 “truther” nutcase. That said, the Tim Ball interview snippet starting at 33:50 is quite informative, and I thank you for the link. Yes, Richard does wonderful work at WUWT. He seems to always know what the point is. ROFL. This is how “consensus science” works, first draw the conclusion then build up the case that leads to the conclusions. This is what warmists call “the science”. On the other side of this question, I believe that the process is not per se illegitimate. As long as the world has access to the pre-change and post-change versions, and the changes are accompanied by explanations, we should be conditionally OK with the flow of data from the SPM to main body. ‘Climate Science’ adjusted/manipulated to meet the demands of its political masters – so nothing unusual here. If the climate science in the IPCC is the ‘Gold Standard’ then why change it to match the SPM? The fact that the final AR5 report is driven by the SPM should not surprise us. The IPCC thinks that CO2 drives temperature, but the truth is the opposite, temperatures drive CO2. Thus clearly, every thing the IPCC does is consistently upside down….and they are 85% confident it is right. It’s always been the way IPCC has worked. This was what the Santer scandal was about. It should get more exposure. Nothing new here. Although it never does any harm to keep banging the drum. I’ve been meaning to say for some time that it’s an absolute pleasure to see Richard posting in full flow again here at WUWT. A pleasure. I was concerned that we’d lost hime for a while. More power to your elbow Richard. darn typo and lack of edit. Damn you wordpress! Bad as how the IPCC behaves in changing the science to agree with the politiics, there is something that is far, far worse. The Royal Society, The American Physical Society, the AGU, WMO, Old Uncle Tom Cobly and all, APPROVE, and condone what the IPCC does in this regard. PS. Many thanks to those who have posted kind words about me in this thread. I did leave WUWT for a while but succumbed to pressure to return. says :Yes, Richard does wonderful work at WUWT. He seems to always know what the point is. from my perspective the ability he has in not only being able to see the point,but to convey it to those of us with little academic background is very much appreciated . The bill for mitigation is coming in, and not just in dollars or euros, but also in ruined and prematurely ended lives – thousands dead from hypothermia in Europe, thanks to carbon taxes, and millions crippled or dead from malnutrition and starvation in places like sub-Saharan African, thanks to the ethanol program making grain supplies unavailable or unaffordable. The people responsible for this are war criminals every much as the Nazis – it is a new Holocaust, and its deniers are the alarmies. The IPCC and the alarmies in general make a great deal of use of Orwell’s “memory holes” – witness Lisa Jackson’s “Richard Windsor” incognito on her home computer, so that she couldn’t be watched through FOIA inquiries. Of course, der Fuehrer is also obviously using memory holes to dispense with the “phony scandals”, and Ernest Moniz and company will use them to get rid of coal and natural gas. Add me to the list of WUWT readers grateful for your return. I find your comments very informative and interesting. The IPCC is the anti-Science! The anti-Christ is supposed to fox the gullible into disbelieving God so as to turn humanity against itself and thereby end civilization. 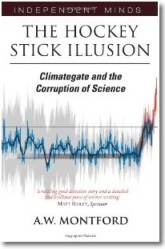 The anti-Science IPCC is foxing the gullible into disbelieving Nature. The IPCC even works in an anti-science way. Scientists work to disprove theories but IPCC only accepts work that proves its theory. This is despite Nature making it patently obvious that the IPCC theory is wrong. But perhaps I am only half right. What if the IPCC is really the anti-Christ doing the devil’s work to turn humanity against itself during Nature’s latest little ice-age? I love seeing intelligent, independent thinkers separate politics from science at the global arena level.Eventually, I hope, most of you will see what problems we have sown from the “West” due to our desire to control global population, country by country. IPCC 5 has been released. Just wait until The State of the World Population Report, to be released Oct 30! Above, Jquip said, “A consultant looks for solutions to your problems. An ideologue looks for problems for their solutions.” The “population” cult has two solutions: birth control pills and abortion. for all, to achieve global population growth goals. Paid for by the Wealthy Of The West. Same song, different verse. “Overpopulation” is a useful myth, propped up by lousy science, by many a projection model, and by a Western elite eager to control the planet. Same as “man-made global warming.” Same. I hope WUWT readers eventually bridge from the global energy control topic to the global fertility control topic. It is, sadly, quite the same. In the AGW fanatic world, the facts are tailored to meet the summary. Which shows that both the summary and the report have little to do with climate science and everything to do with marketing AGW. The sciencey stuff is for show prop and and sales efforts. In fact we skeptics have been used to help the political hacks come up with the actual final sciencey parts. Our reaction and analysis to their report has guided the political editors on what needs to be changes and cut to fit the pre-selected outcomes. I suggest for skeptics to take lots and lots of screen shots. The political rent seekers whose position and fortunes ride on cliamte catastrophe do not hesitate to lie cheat and fabricate to push their money train down the tracks. AGW true believers and rent seekers are *not* going to just come out and apologize for conning the world out of billions of dollars. They feel they should be entitled to our money to support their meetings, tenures, research grants, trips, email accounts, etc. But we should never ever actually see anything but what they want us to see, and will emphatically curse out if we demand otherwise. Schneider’s advice to lie and cheat to sell science is taken to heart indeed. If you view every person on Earth as weighing and average of 176 pounds (80 kg), man, woman and child, and view them all as just water of which we are mainly composed, pour that in to fill a cube… that cube would not be but about seven city blocks on a side. Kind of puts it in perspective doesn’t it? Fourteen billion of us would fill a mere one cubic mile. Now compare that to the entire planet Earth ! That thought has always stuck in my mind when the mention of the huge population comes up. That same discussion took place here on this site a while back. It turns out that the entire human population could fit into a sphere of only one kilometer — with room left over. That puts into perspective the population alarmists’ arm-waving over global resources. The fact is that there are plenty of resources available, and there is nothing to worry about. Not only that, but the human population will begin declining around 2050 – 2060. At that point, demographics will assert its irrevocable push, and only those who are astute will be able to make hay out of the new paradigm. Forewarned is forearmed. But only those who pay attention to Occams Razor, and compound interest, and human nature, will be able to profit. The rest are lemmings, and they will get their just desserts. dbstealey: Oh how true, we won’t populate forever. That comparison always makes me chuckle. They have fits over that one day us reaching 9 billion as if this world could never make it with !so! many… bs. Just more alarmism. I don’t understand why the scientists who contribute to the IPCC report aren’t complaining. But is the IPCC likely, very likely, or extremely likely mostly politics? No. The IPCC’s own documents say the IPCC is certainly entirely politics. ‘Massa cuss etts’ is the right place for that clueless parrot in a suit. IPCC is following accepted climate science procedures; who knew that consensus means collusion and science means cyclonic delusional spin with synthetic picante hype added for flavor. As another above asked; where’s the transparency?? Will we be able to review before, during and after records and comments? George Orwell could have written a great story about the inner workings of the IPCC. I will second that thought! In academic circles, and those of you that have trodden the hallowed halls of disbelief, like me will testify? It is common particularly in the Arts and archaeology fields, that corrupting the data to suit the hypothesis, all too often is used. Academics have to publish, doesn’t matter if their papers are a load of make belief and manipulation, Of course in someways data is not complete, and as time goes by more scientific evidence comes to light that changes the original hypothesis. The only ones who can spot these problems are those who are experts in the same field. 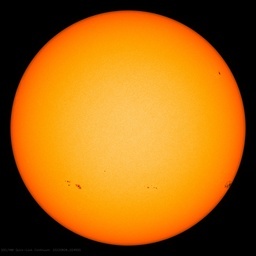 Back in 2003 to complete by BA majoring in archaeology and palaeoanthropology I took a 100 level unit externally ‘The Earth in Crisis?” The coordinator told us that droughts and water shortage were going to be a problem for some cities, because of solar activity. Temperatures in cities will be higher because of the Urban Heat Islands they create. Large areas of rainforest in South America being cut down and converted to agriculture shift precipitation patterns. And the affect on local and regional landscapes through damming large rivers such as the Nile and Asswan Lake Nasser. This destroyed the Delta fishing industry for thirty years, increased stagnated water areas and malaria and that snail infestation. They developed a vaccine for the latter. Pollution in cities like Bangkok. Uncontrolled surface coal fires cause not only pollution but also the Indonesian Bush fires that raged for 4 years. The prime areas were Indonesia, India and China. But CO2 was not a problem, but pollution was. This was a first year 100 level First year! Then along came Al Gore and the IPCC. The principal was to make money out of green energy and carbon credits. So the story goes on. There is non so blind that those who can not see!